Conflicts between Hispanic farmers and developers made for compelling reading in The Milagro Beanfield War, the famous novel of life in a northern New Mexico village in which tradition triumphs over modernity. But as cities grow and industries expand, are acequias, or community irrigation ditches, a wise and efficient use of water in the arid Southwest? José Rivera presents the contemporary case for the value of acequias and the communities they nurture in the river valleys of southern Colorado and New Mexico. 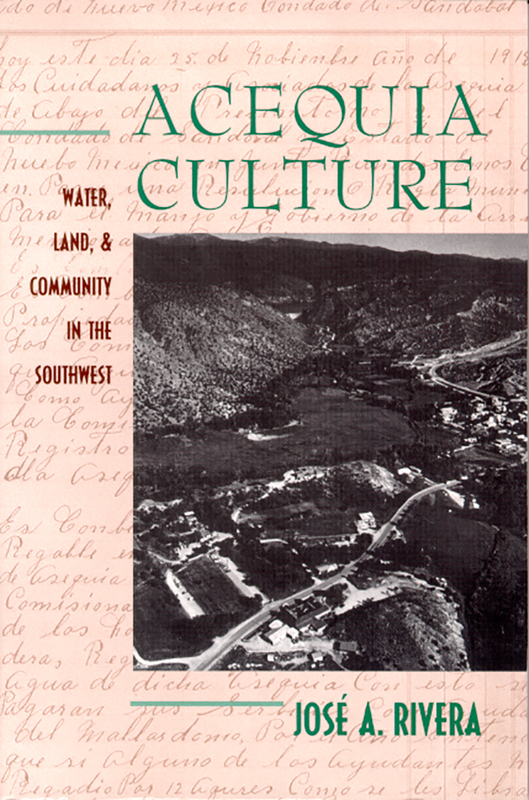 Recognizing that "water is the lifeblood of the community," Rivera delineates an acequia culture based on a reciprocal relationship between irrigation and community. The acequia experience grows out of a conservation ethic and a tradition of sharing that should be recognized and preserved in an age of increasing competition for scarce water resources.